At Vikan, we innovate to solve the challenges you face. To make sure we do this, we always incorporate customer views into our product development processes. Our aim is to get every product just right – the way you want it. The cleaning tools we develop at Vikan are made to do one thing above all: work. Because if they don’t work – if they don’t do their job effectively and efficiently – we aren’t living up to our core purpose, which is to help you live up to your hygiene ideals. If you’re serious about functionality like we are, developing cleaning tools is more difficult than one might think. Innovative materials. Patented technologies. Advanced manufacturing processes. It takes all of this and more to come up with breakthroughs like our Ultra Safe Technology (UST) range. Everything we do features hygienic design thinking without compromising usability and function – it’s right at the heart of the Vikan design philosophy. The “more” it takes is something Vikan excels in: gathering vast scientific, industry, regulatory and other knowledge, and incorporating this into our development work. And then there is testing, and testing, and testing – including constant feedback loops with our customers to make sure we’re still on track. Did you know that all these industry breakthroughs – some of which are now industry requirements – were invented by Vikan? Color-coding - for hygienic segregation of cleaning tools. Hygienic design - to make sure cleaning tools stay contaminant-free. Ultra Safe Technology - the new standard for hygienic design of food industry brushware. Then we want to hear it! If you’ve got a suggestion for a tool that could solve a hygiene problem you face at work, make a sketch or take a photo to show what you mean and drop us a line to tell us about it. Use the form below to contact our R&D. 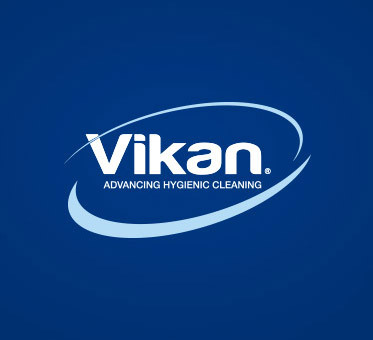 Unique in the professional cleaning tool industry, Vikan incorporates customer ideas and feedback into multiple points of the product development process.